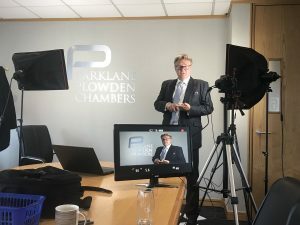 We're delighted to have teamed up with barristers from Parklane Plowden Chambers for our latest e-learning project. Following the success of our RTA liability e-learning course, we've developed a unique and exciting range of animations involving 'slip and trip' accidents. Using online animated accident scenarios, our e-learning course trains staff on how to assess liability in EL/PL claims. It examines the law of negligence relating to this accident type; explores what evidence is needed to prove your case (and how to deal with conflicting evidence) and looks at relevant case law. Each accident scenario concludes with a barrister giving their view on the case and what the likely outcome would be if the case proceeded to a final hearing. Billing – Remove the Pain and Make More Money. It’s not difficult! "It is a pleasure to learn from you!" © 2018 Kinch Robinson Ltd.